You’re a one-man band that creates under the name The Invisible and you’re a new album is called MK-Ultra, correct? Over the course of a year, I wrote MK-ULTRA. I went back and forth with the idea to get a band together, but I decided to do it all myself – mainly just to see if I could actually do it! It turns out I could, and I’m so proud of the result. The album is a concept album based around the MK-ULTRA tests of late 1973. It explores the issues surrounding the fictional characters suffering of amnesia following the MK-ULTRA tests. What else should people discovering your album know? Along with the album there is a bonus track available, but only if you crack the code. 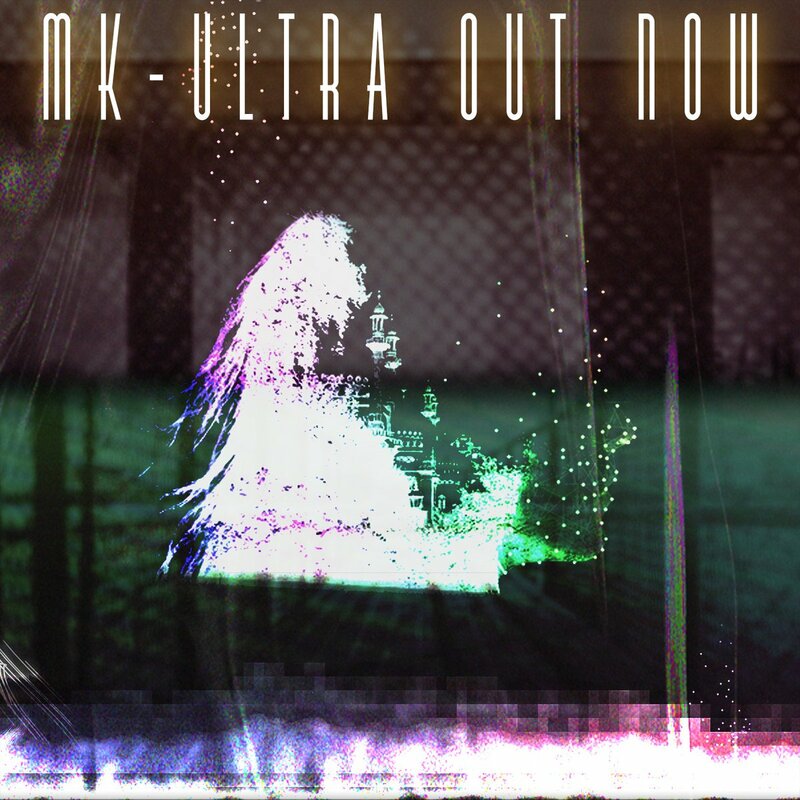 The code is hidden in the artwork of MK-ULTRA, which is available on the website and from bandcamp when you purchase the album. You can enter the code at theinvisibleband.net/hackindex.html to get the bonus track! Outside of The Invisible, I do a lot of session work, drumming mainly, but have recently been asked to help write and produce tracks for various people. And am in Ghost Community, a touring progressive rock band based in Wales. What are some of the tracks and artists you’ve done drum sessions for? Did those sessions influence recording your own album? I’ve done a lot of work for the students at SSR for various projects. Nothing that has been released to the public. You can see a full list of my session works on my website. Not really influence musically, but recording-wise they did. Fairly simple things I didn’t know before because I was never taught, but really made the difference from a home recorded ‘demo’ to a professionally recorded album! Who are some of your influences as a drummer and songwriter? My biggest influence drumming-wise is John Bonham. That guy could play anything and make it groove. He was a real genius. Neil Peart from Rush is also another drumming hero of mine. He’s technically unbelievable and can groove with the best of them, but my favourite thing about him is he sounds like him. No one else can play like that, no matter how hard they try or how much gear they have. He’s truly unique! I have quite a few other and could talk for days about them (laughs). Songwriting wise I’d have to go with Bowie first. David Bowie is such a huge influence on me. His early works are my favourite, but his adaption of his career to the time and his surroundings, his constant output and how he never became irrelevant was incredible. I’d love to be able do that. My other huge songwriting heroes would have to be The Beatles. Their whole back catalogue, in my opinion, is pure gold. My dad always says “they made music for everyone between grannies and babies – that’s what made ’em great!” and I believe that’s totally true. Sgt. Peppers is still on me of my all-time favourite albums, and probably always will be. How did you come up with the concept for your album? I first read about the MK-ULTRA tests in secondary school, and I was fascinated by it. I think it’s because it’s not very well documented, and when it is the ‘darkness’ of the subject is taken away. The Men Who Stare At Goats film, for example, was about MK-UKTRA but it was very lighthearted. Great for the film, and I thoroughly enjoyed it, but I wanted something darker. There’s plenty of documentaries out there and loads of info on the internet, so I delved in and explored the world surrounding MK-UKTRA. I didn’t want to write the album from the view of a specific person, so I tried my best to keep it very ‘open’ to interpretation, so to speak. It seems like you’re also using it to touch upon themes bigger then MKUltra; that it’s more about what the person is going through, like how The Who’s Tommy, to use an obvious example, isn’t really about pinball – or even deafness, blindness etc – so much as it uses these as devices to write about bigger themes. Would you agree? What else can you share about the concept beyond the MKUltra element? Yeah that’s totally right. It’s a platform, a very wide and expansive platform, that allows me to touch upon other themes. There’s a strong theme of nostalgia, and I think that mainly comes from the sound and production of the album and style of the music. I wanted that very ‘natural’ sound, and personally I think I managed it as best I could given that it’s one person playing everything (laughs)! Another strong theme is memory, memories and the mind. The mind controls everything about you: who you are, how you feel, your actions and words, everything. I wanted to explore what it’s like to regain those controls after they are taken away from you in some way, in this case through horrible mind-control experiments. I suppose that could also be a theme of ‘control’, too. Was every instrument and sound on the album recorded by you? Every instrument was performed by me, yes. I recorded the drums at A-Tonal Studios, a great little studio with an amazing drum room in London. Those session were engineered by Jeanne Albin – whom also mixed the entire album – and André Valente. Everything else was recorded and engineered by myself at my home studio. You said before you decided against a band, mostly to see if you could go it alone. You sure did, and that’s one of the most impressive aspects of the album, especially considering the arrangements and what a layered album it is. To listen to this with the awareness it’s all one person really elevates it. Besides proving to yourself you could do this, what were the other advantages to recording it this way? And to flip it around, what are the pros and cons you missed by not recording with a band? That’s very kind of you! A few other people have mentioned they were quite shocked when they realised it was all one person. I think it has been summed up perfectly by reviewer Glen Byford. He said, “the involvement of others could possibly have diluted such an ambitious and focused piece of art”. I’m truly humbled by that comment, it really means a lot to me! The advantages were I was in total control. If I wanted to try something crazy I could. If I wanted to rip a track apart and rebuild it, I could. There were no boundaries, and that was great fun. On the flip side, I think writing with a band is fantastic, too. I do a lot of writing for Ghost Community, and getting together with those guys is always an awesome experience. One idea spurs another, then another, then another, and it because a beautiful body of everyone’s creative work. I love both sides of the writing worlds. What was the recording process? I started by demoing everything at home. MIDI drums laid out the initial plans for the rhythms and grooves, I then refined them later, then applied the bass, keys and guitars – whichever was more prominent on the tradable usually came first – then sound effects and some automation on sounds, then vocals! It was a pretty standard process, really. Mixing was a different story as I had the great opportunity to mix on SSR London’s 48-channel Neve desk, VR 48/60 Jeanne informs me. That was incredible! So it sounds like you basically knew what you would be recording before you did, as opposed to trial and error overdubbing as you went along. You had the big picture before, correct? I had a good idea, yeah. There were some trial and error parts along the way – some of the keyboard sounds changed at least once a week until I was happy – but ultimately it was an easy and speedy writing and recording process! Who are some of the artists you’ve been writing with or producing for recently? Again it’s mostly work for students of SSR London. One student, whom helped with some advice on the mix on my album here and there, Edson asked me to help finish a track of his. I turned around two days later with a crazy jazz meets space-funk meets R’n’B ten minute epic. He and his co-writer / producer Jay loved it. I think he’s even using it on his album! I’d love to get more into that in the future. What should fans know about Ghost Community? About Ghost Community? We have our debut album out on ROK Music; Cycle of Life, it’s available everywhere online and, of course, will be at gigs too! We plan to be out on tour next year and start writing the follow up album very soon. It’s exciting times, indeed. The album is picking up some great reviews, and we’ve just released our latest music video for track ‘Blue December Morning’, taken from Cycle of Life. MK-Ultra is available now at TheInvisibleUK.bandcamp.com and musicglue.com/the-invisible-uk.
. . . and follow twitter/The_InvisibleUK, facebook/TheInvisibleUK and instagram/the_invisibleband.